I am pleased to formally announce my acceptance into The Arctic Circle fall 2017 Expedition (www.thearcticcircle.org). 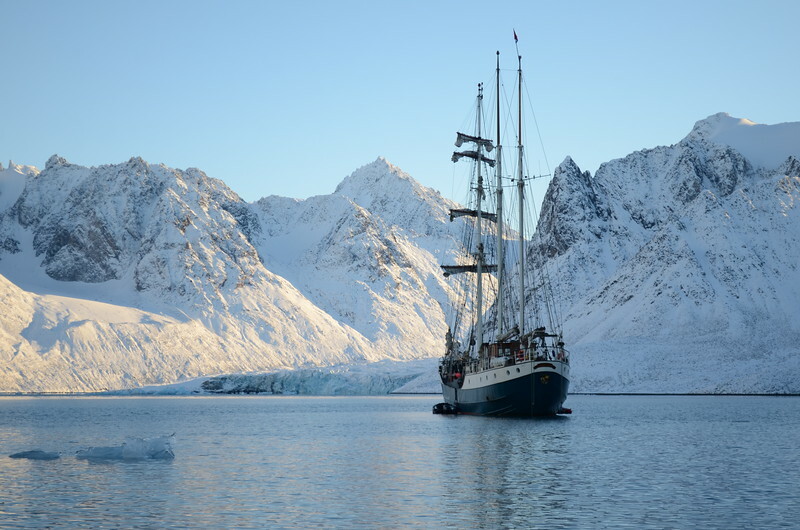 The Arctic Circle is an annual expeditionary residency program that brings together international artists of all disciplines, scientists, architects, and educators to explore the Arctic archipelago of Svalbard, Norway aboard a specially outfitted sailing vessel. The Arctic Circle provides a shared experience for its participants to engage in myriad issues relevant to our time and to develop professionally through interdisciplinary collaborations, exhibit opportunities, and public and classroom engagement. This residency will allow me to create visual work only attainable from the location and collaborative environment, as well as expanding my network to many innovative people abroad. I am asking for your support to turn this dream into reality. I have launched the fund raising campaign “North Bound” to facilitate the financial success of this project. The North Bound fund raising campaign is new but making strides at achieving its financial goal of $6,300 (full cost of participation in the residency) with an extended goal of $10,000 (covering travel and other expenses). We are reaching out to ask you to consider making a donation towards this campaign. There are many donor levels for individuals with gift rewards starting as low as $5. Currently, I’m experimenting with Virtual Reality, Photogrammetry and other innovative uses of technology to connect the audience to subjects of specific environmental, scientific, and artistic areas they would not normally be able to access. Participation in The Arctic Circle Residency will swiftly expand this knowledge and result in truly innovative work. It is with your contribution that I may ensure attendance to this expeditionary program. Your support means much more than you could imagine. By all means, I would not have made it here without the love and support of my family and peers. Any amount donated is a step closer to realizing this dream. *Photos provided by The Arctic Circle Expeditionary program. 2. If you prefer, you can also donate by check. Please send contributions to Michael Wallace at "525 Meadowlands Drive, Morehead Kentucky, 40351." Checks should be made payable to Fractured Atlas, with North Bound in the memo line. North Bound is a sponsored project of Fractured Atlas, a non-profit arts service organization. Contributions for the charitable purposes of North Bound must be made payable to “Fractured Atlas” and are tax-deductible to the extent permitted by law. North Bound is a sponsored project of Fractured Atlas, a non-profit arts service organization. Contributions for the charitable purposes of North Bound must be made payable to “Fractured Atlas” only. The value of goods or services received by the donor is listed in the giving levels “total amount” section. Any contribution above this amount is tax-deductible to the extent permitted by law. March 15th, 2017 is the initial down payment for the cost of participation. $2,000 must be met on this day. June 10th, 2017 is the final date to meet the cost of participation. The final $4,300 is due then. October 1st, 2017 the residency program begins and lasts until the end of October. North Bound hopes that you will take a few moments to read about our upcoming event and decide to participate by donating to our silent auction on April 15th, 2017. North Bound will be hosting a Spaghetti Dinner and Silent Auction at the Carl Perkins Center from 10 am until 2 pm. We anticipate approximately 300 guests at this function and the funds raised will go toward funding this incredible opportunity to help shed a light on the full potential and power of Eastern Kentucky on an international level. Please consider supporting our event by donating gift certificates, merchandise or services. In exchange, you will receive some excellent community exposure and advertising. Your company name, address, phone number and donation will be listed on the top of the auction sheet for your donation. Your donation is tax deductible, and we would be happy to provide information upon your request. We will gladly pick up your donation, or it can be mailed to the address listed below. The address for any mailed items is: 525 Meadowlands Drive, Morehead, Kentucky 40351. If you have any questions please do not hesitate to contact. Feel free to Like, Share, and Follow North Bound on Facebook | Instagram | LinkedIn. North Bound Is fiscally sponsored by Fractured Atlas, a non-profit arts service organization.